Finding the right mortgage isn't always easy, and when it comes to finding the right deal, it can be frustrating searching around. The truth is, there are so many different lenders on the market. If you are keen to go with a lender who boasts great customer satisfaction, it can be difficult trying to decide which the best one is. Luckily, MO is here to help. In our latest post, we’re looking into exactly who is the best mortgage lender on the market in 2018. Sourcing customer feedback data from a Which? survey, we have determined the best lenders in the UK for customer satisfaction, voted by the customers themselves. In this post, we’ll be looking at the top 20 in the UK. Let’s begin. So, in this list you’re going to see various banks and building societies listed, but what is the difference? Well, it’s not much… Where banks are considered commercial establishments that not only handle mortgages but can also offer loans, credit cards and banking to customers. Building Societies solely concentrate on lending mortgages. Building societies are owned by members, where the profits are put back into the society, vs. banks where the profits are paid as dividends to shareholders, who own the bank. The goal of banks is to generate profits for shareholders vs. building societies who are not. Most mortgage decisions are made due to the rates you find and whether you believe a lender is suitable for you. But, it is not always the best decision to go for the well-known, largest lenders. The bigger lenders may be, well, bigger, but are their customers just as satisfied? This is how the Which? 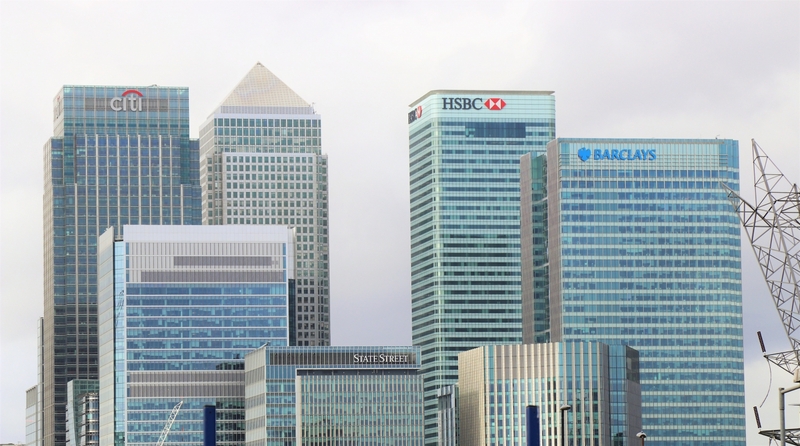 survey ranks UK lenders. Find out the top 20, below. As well as an overall customer score (%). Which? base their rankings for mortgage lenders off their own customer satisfaction survey, as well as the mortgage deals offered for various product types. It also includes whether they are covered by the FSCS (Financial Services Compensation Scheme) and the FCA (Financial Conduct Authority) banking standards regime. The following is the top 20 banks and building societies that 3,572 people ranked in June 2018. *Please note our rankings are based off of Which?’s survey and not reflective of Mortgages Online’s own opinions. Which users gave the bank a 3 out of 5 for customer service, value for money and the clarity of statements. The bank scored a 4 for flexibility of payments but was given a score of 1 for online accessibility. Scoring mainly threes across the board for everything except for online access (where users scored them 2), Clydesdale Bank falls at number 19 on our list. Scoring 3 out of 5 for customer service, value for money, the flexibility of payments, clarity of statements and online accessibility. Again, Lloyds scored 3 out of 5 across all areas, similarly to Yorkshire Bank listed above. Oddly, their individual scores differ. Barclays had most 4’s out of 5 for everything, aside from customer service where they had a 3 out of 5. AA had 3 out of 5 scores for customer service, the flexibility of payments and online accessibility – the other two areas were without a score. Below, you’ll find a table detailing the score of each mortgage lender in the different sections across Which?’s survey. We’ll start with YBS. They achieved a 4 out of 5 scores for customer service, value for money and clarity of statements too, but scored 5 out of 5 for flexible payments and 2 for online accessibility. Whilst Halifax received 3 out of 5 across all sections. Scoring 5 out of 5 for both customer service and clarity of statements, along with a 3 for online accessibility. The other two sections had 4s scored against them. For the clarity of their statements, SBS received a 5 out of 5 from Which? reviewers, whilst their online accessibility scored 3 out of 5. For all the other sections, they received a score of 4. With a total score of 75%, Coventry Building Society scored 5 out of 5 in customer service, flexible payments and clarity of statements too. Whilst scoring 4 for value for money and 3 for online accessibility. For customer service and online accessibility, Virgin Money scored 3 out of 5 whilst for the three other sections they scored 4 out of 5. Nationwide scored 4 out of 5s in customer service, value for money and online accessibility. Whilst receiving 5 out of 5 for both flexible payments and clarity of statements. First Direct scored 4 out of 5 for the value of money, clarity of statements and online accessibility, with 5 out of 5 scored for customer service and flexible payments. It was the highest ranked mortgage provider, scoring 5 out of 5 for flexible payments, along with a score of 4 for value for money. It was a mortgage provider that Which? users would recommend. Whilst customers ranked these as the best lenders in the UK for customer service, it’s about finding the right mortgage deal for you. Finding the right mortgage couldn't be simpler with MO. We compare 1000s of mortgage deals from over 130 lenders to find a mortgage deal that is right for you. These are ranked as the top UK mortgage lenders for customer service by customers on a Which? survey.